Johnston Sweepers are the leading UK company designing, manufacturing and supplying both the UK & export markets with road sweepers. 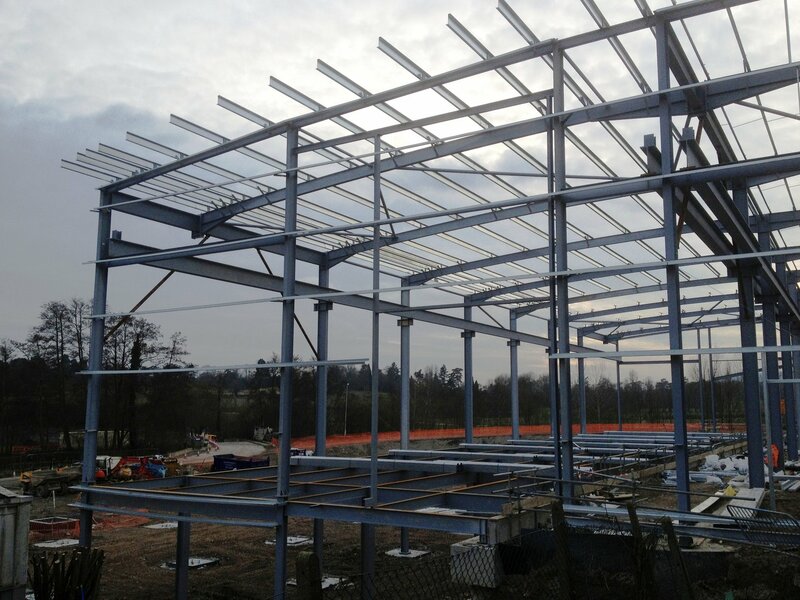 Bucking the current UK trend, Johnston’s are expanding and building a new state-of-the-art manufacturing facility. Junair Spraybooths are pleased to announce that they have been chosen as the supplier partner to Johnston Sweepers for their new £30 million facility in Dorking. 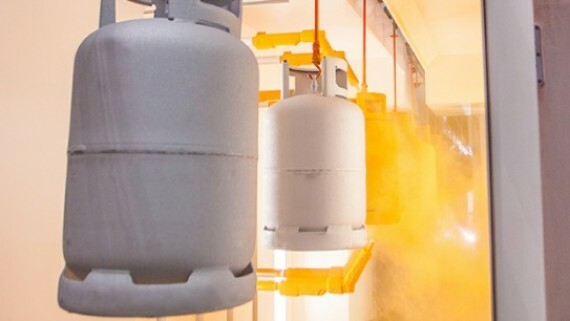 along with a paint mixing/storage area and twin enclosed shot blasting booths, which feature full grit recovery systems. 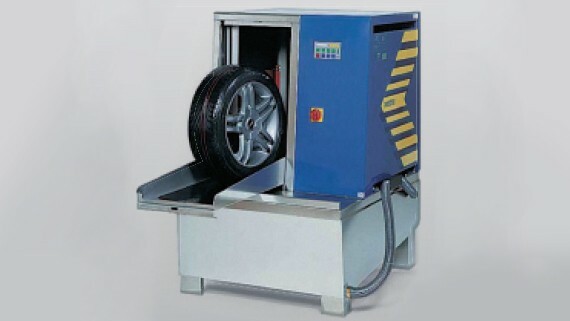 The facility includes a centralised dust extraction system, compressed air and local power distribution. Along with this equipment will be both high pressure and low pressure pumped paint systems from Wagner, all fitted below a tailor-made mezzanine floor. The facility incorporates an overhead conveyor system to aid product handling with powered lift sections. 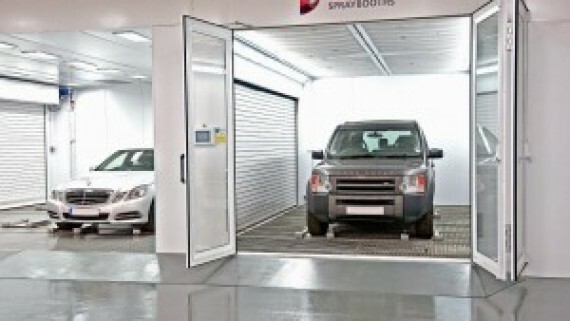 The Junair spray booths incorporate ten in booth access platforms to allow easy operator access. The whole of the paint facility is enclosed with a purpose made Junair partition wall from floor to ceiling to ensure the cleanest possible painting environment. 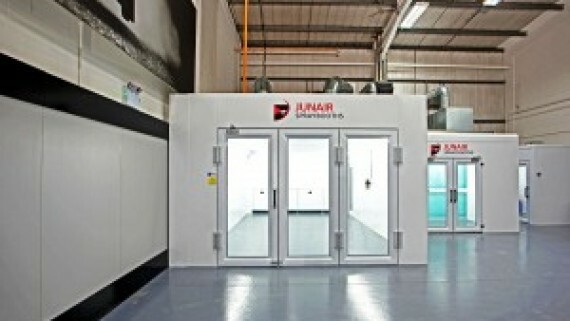 Junair Spraybooths are overseeing the whole of the equipment project as well as being the manufacturer and supplier for most of the capital equipment. To provide Johnston Sweepers with the most up to date technology available, and to provide the minimum running costs for a system of this type, all the spray booths are fitted with Junair’s innovate Eco-Active technology systems which include the patented QADS auxiliary air drying system to minimise process times, variable speed drives for all the fans and the FS system to reduce energy consumption during idle periods. 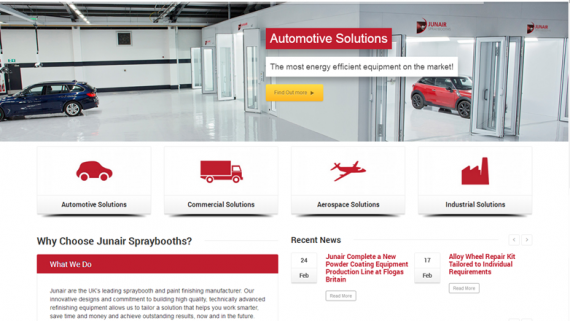 All the booths are fitted with the Junair iSystem which allows simple recipe control of all the process parameters to guarantee Johnston Sweepers the energy savings available. The iSystem controls incorporate job specific data logging and allow remote access for diagnostic checking by the Junair back up team. 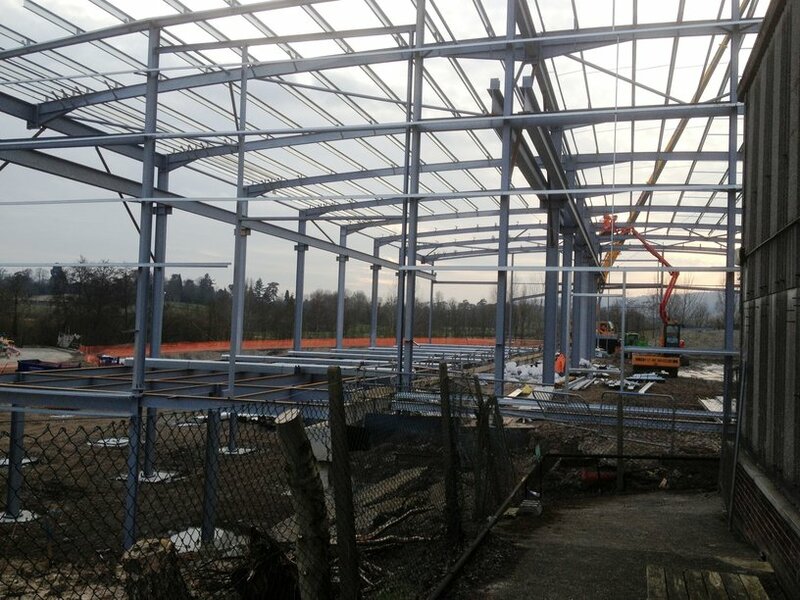 Pictures show the steelwork being erected – follow the progress on the Junair Spraybooths website.